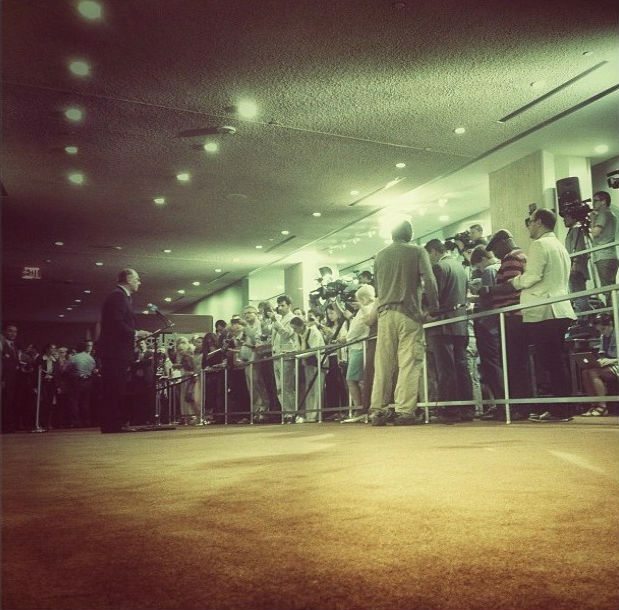 Photo of a press stakeout at UN Headquarters. Credit: UN Photo/Mark Garten. See more photos on Instagram. 68th Session of the UN General Assembly is here!